When it comes to your wireless gas detectors, you deserve a unit that is portable, lightweight, and as efficient as can be. There’s no time to waste when it comes to gas leak detection, as significant start-up times or response times could put you, your workers, or other people in serious jeopardy. That’s why it’s imperative that your facility’s methane gas leak monitors can be relied upon at all times and in all situations. But what is the best methane gas leak detector out there? Well, if you tend to favor the more prehistoric methods, then you might be more inclined to use the RMLD – Remote Methane Leak Detector. 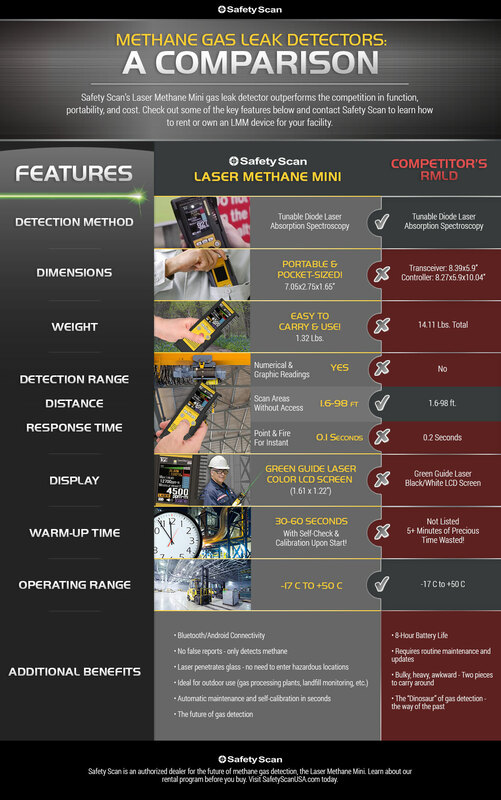 However, if you’re looking for the future of wireless gas detectors, then you need not look any further than the Laser Methane Mini from Safety Scan. Our portable gas detection meter is small and lightweight, meaning engineers can easily fit this monitor right in their pocket for easy access and use. Not to mention, the response time is much quicker, thus leading to a faster detection and increased safety for your workers. Let’s take a look at some of the key differences between the two wireless methane gas detectors. When it comes to function, sure this RMLD will get the job done. However, when it comes to the detection of toxic gases, the crucial key is getting the job done better. The RMLD features multiple devices, one to scan for methane and one bulky screen with a shoulder strap, and requires continuous manual updates. Not to mention, the warm-up time takes up to five minutes or longer, which means precious time could be wasted if there did happen to be a methane leak in the area. 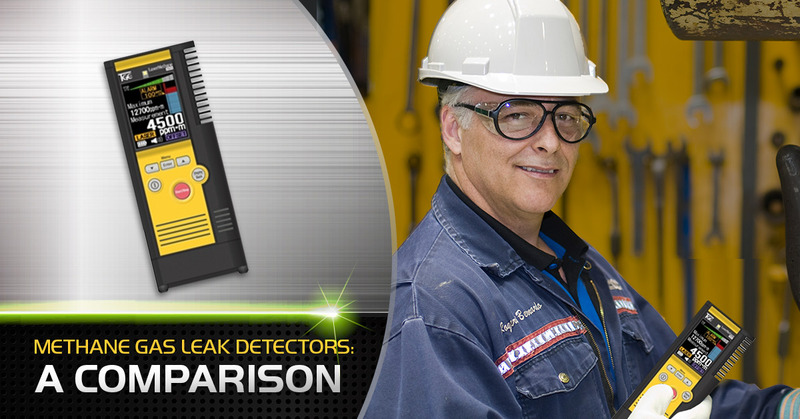 While it does offer a handy green guide laser and up to eight hours of battery life, this methane gas detector is too bulky and awkward to carry to hard-to-reach places, and is simply not fast enough to detect a leak in a critical circumstance. The portable methane gas detection unit from Safety Scan, on the other hand, has all of the great benefits necessary to modernize and innovate the gas detection industry. This portable, handheld device weighs just over one pound, making it easy to take into any potentially hazardous area. Not to mention, the green guide laser projects and scans up to 100 feet, allowing you to scan areas which are hard to reach, see, or even access. Plus, the laser can even scan through glass, ensuring that you are able to assess a gas leak (or safe area) before you even enter a building. The Laser Methane Mini takes less than a minute to start up, and that includes a self-calibration and automatic updates upon start. There are never any false reports to worry about when it comes to this wireless gas detector; our unit only detects methane, features Bluetooth and Android connectivity, and is ideal for outdoor industrial use. Isn’t it time you had wireless gas detectors that actually made your facility safer? Now you can. Contact Safety Scan today and ask about our exclusive rent before you buy program.